My Guy Is Going Bald: What's Causing His Hair Loss? My Guy Is Going Bald… Can I Help Him Feel and Look Better? What Can You Do If Your Guy Is Going Bald? He spends forever in front of the mirror, fussing like a teenager. That hat never seems to leave his head anymore. If your guy is going bald, you’re going to want to know what’s happening and how to help him through this. Many men begin experiencing patterned baldness as they grow older, often resulting in them wishing they could grow new hair. Hair loss often is continuous beginning on top of the head. Then, it spreads over both sides of his head, resulting in baldness. Sometimes the condition is called androgenic alopecia, being associated with an androgen presence. Androgens are hormones regulating a man’s masculine features. Keep reading and find out what it will take to grow new hair after baldness has set in. 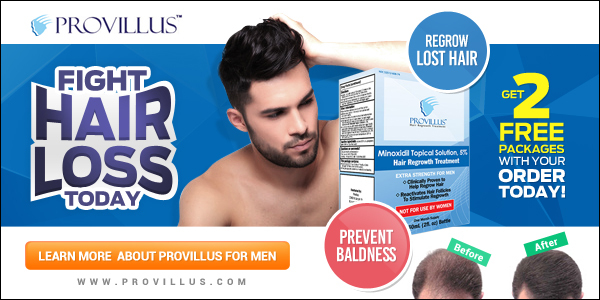 It’s important for men to comprehend the cause of male pattern hair loss. This form of male baldness is often attributed to free circulating testosterone levels. They are then converted into dihydrotestosterone hormone or DHT. With this hormone present, some men’s hair follicles react by shrinking. Therefore, a man wishing to prevent the loss of hair and grow new hair should lower his testosterone levels. 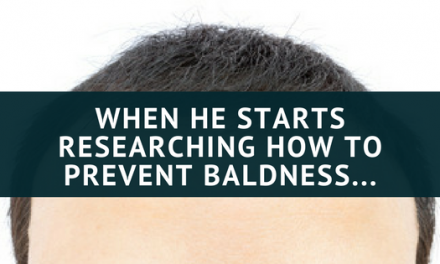 Men suffering from baldness can also make efforts to prevent the conversion of their free testosterone to DHT. One way of doing this is be being on a particular drug dosage to inhibit further hair loss and stimulate regrowth from the scalp. Users can expect results from the drugs, but only as long as they keep taking them. Furthermore, some medications can be directly applied to the scalp in order to avoid hair loss and stimulate regrowth. 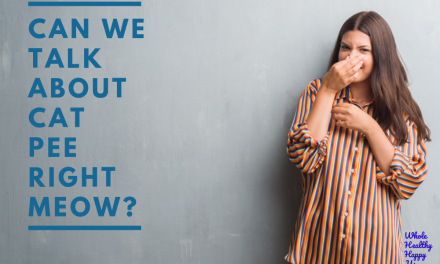 Another option is an ingestible pill. That may be effective to bind the enzyme responsible for the conversion of free testosterone into DHT. These drugs have been approved by the FDA and are entirely safe to use. A more costly alternative he might start looking into is a hair transplant. The process involves moving small hair patches from one location of his scalp to a region that has been affected heavily by baldness. There’s a small possibility of contracting a skin infection. However, if the procedure is conducted properly and is performed by a professional, the positive outcome will be effective and permanent. Hair growth is stimulated by these transplants. That’s because hair is being shifted from a thinning area where follicles are DHT insensitive. 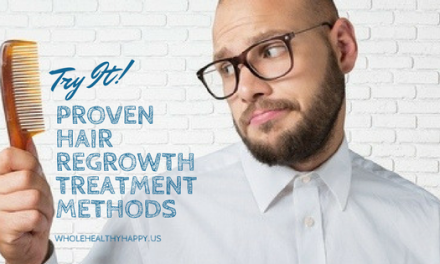 Men wishing to grow new hair to prevent being bald could also attempt to stimulate regrowth using a method by M. Gardson, or something similar. A person begins to lose their hair once the hair follicles become dormant, as a dormant follicle doesn’t create hair. Therefore, if a significant amount of follicles become dormant and dysfunctional in one particular area on your head, this hair looks thinner. Yet, this doesn’t necessarily mean permanent balding. That’s because it’s possible to re-awaken hair follicles and stimulate hair regrowth. Ultimately, if your guy is going bald, you might want to nudge him in the direction of the gym. Many experts say men should regularly exercise to manage a diet with high carbs. This will prevent the resistance of insulin or hyperinsulinemia which is a condition which causes a man to have excessive insulin levels in the blood circulation. Getting fit and staying away from excessive carbs can help your man feel and look better, head to toe. Plus, taking good care of his health will help keep him around longer anyway. 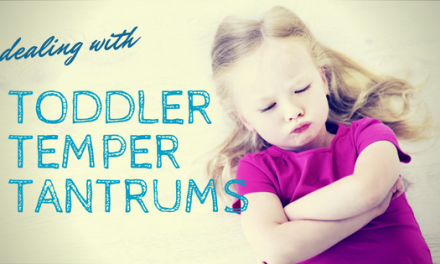 Momma Never Said There’d Be Toddler Tantrums Like THESE!